You’ve probably heard of the term user adoption but why should you care? You recently rolled out a new security tool for your employees as an initiative to protect your clients’ data, however, you still managed to incur a breach in your security system that resulted in a confidential information leak. Now you’re all over the news. While investigating the incident, you discovered that only 15% of your employees were actually using the new security tools. The other 85% resorted back to old methods or use nothing at all. You later confirmed this to be the cause of the breach. This answers the question of why user adoption is so important in security. It doesn’t matter how “secure” your new security tools are if nobody is using them. User adoption begins with the tools. Choose the wrong ones and a high user adoption rate will be impossible. Simplicity – the tools can’t be too complex. There should always be a nice balance between security and ease-of-use. The simpler the tools, the smaller the learning curve and the more your employees will appreciate it and be willing to adopt. Features – the tools should include features that increase productivity and not prevent it. If replacing existing tools, the new ones should have most or all of the features of the previous tools, otherwise, your employees may revert back. Related | TitanFile is a secure file sharing solution that’s easy to use and trusted by professionals to protect confidential information. Get a free trial. Awareness is a significant component of high user adoption. Your employees can’t adopt something they don’t know about now can they? Take your employees back to school! Training sessions are great in that they help with a smoother transition to new tools. As a dedicated space for employees to gather and learn together, you can teach in-depth lessons and use-cases. You’ll also provide your employees with the opportunity to ask any unanswered questions. We deliberately say “encourage” instead of “enforce.” Employees that are encouraged tend to make their own decisions. In this case, you want them to consciously decide to use the tools on their own so they’re more likely to stick to them. Champions believe in the tools and are more likely capable of influencing others to use them. They will literally increase user adoption rates for you! 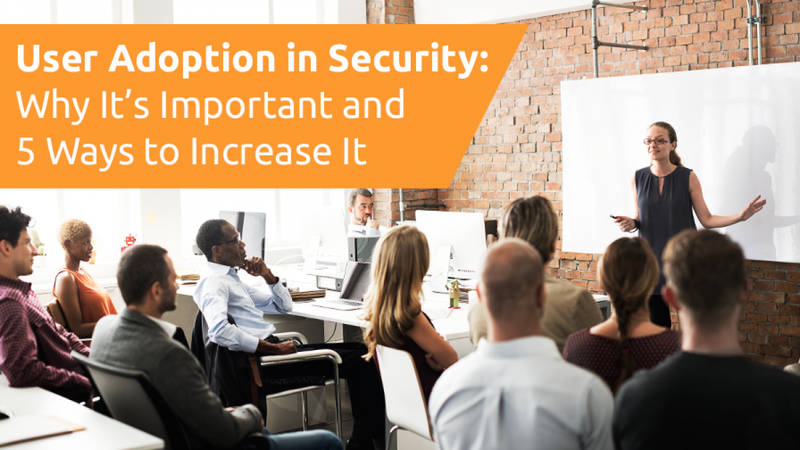 Follow all of these tips and it won’t be long until you’re able to influence high user adoption rates for all the security tools you implement!